Although Multi-Role Tanker Transport (MRTT) aircraft play an important role in force projection, they have a limited niche market that will only attract those with deepest defence budget pockets. However, this is not stopping the two major MRTT manufacturers, Airbus and Boeing, from aggressive marketing. Having overcome and expensive and protracted development challenges to the tanker, in August 2016 the US Department of Defence, cleared the Boeing KC-46A for the production for delivery to operational United States Air Force squadrons. This decision was made in spite of ongoing problems with the tanker’s fly-by-wire refueling boom and wing refueling pods that may delay deliveries of the first 18 production aircraft by almost a year to early 2018, according to recent reports. 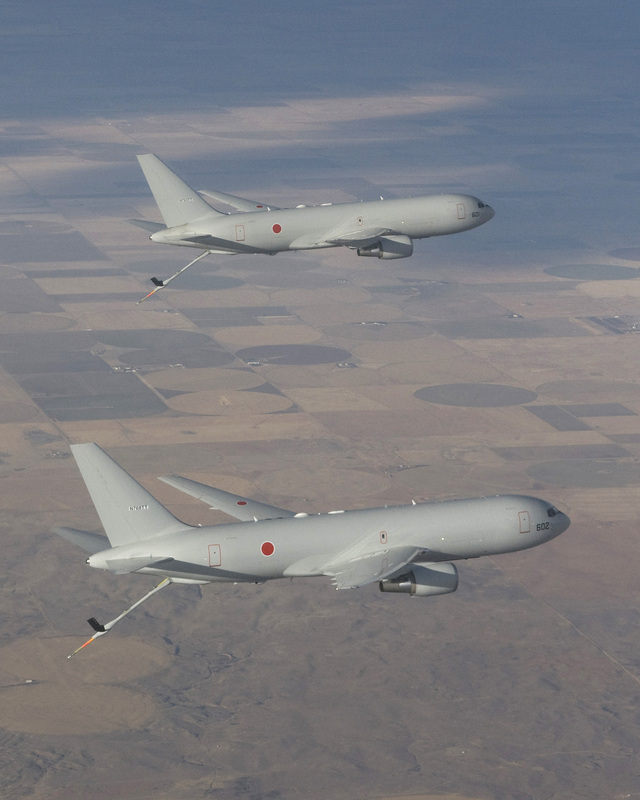 In September the Boeing tanker received a further boost when the US State Department approved a potential $1.9 billion sale of four KC-46A aerial refueling tankers to Japan. The Japanese government first announced its intention to purchase the new tankers to replace the Japan Air Self-Defence Force’s fleet of four Boeing KC-767 tanker aircraft in October 2015, and with the approval from the Pentagon, it moves it closer to becoming Boeing’s first foreign customer for the KC-46A. These aircraft will come equipped with Cobham’s in-flight hose and drogue refueling systems, Raytheon’s AN/ALR-69A digital Radar Warning Receiver (RWR) and Miniaturised Airborne GPS (Global Positioning System) Receiver and Northrop Grumman’s AN/AAQ-24(V) Large Aircraft Infrared Countermeasures (LAIRCM) system. More information on aircraft self-defence systems can be found in Thomas Withington’s The sale will also include Pratt and Whitney PW-4062 turbofans which power the aircraft plus a spare, and aircrew and maintenance training and support, according to an announcement regarding the sale made by the Japanese government. 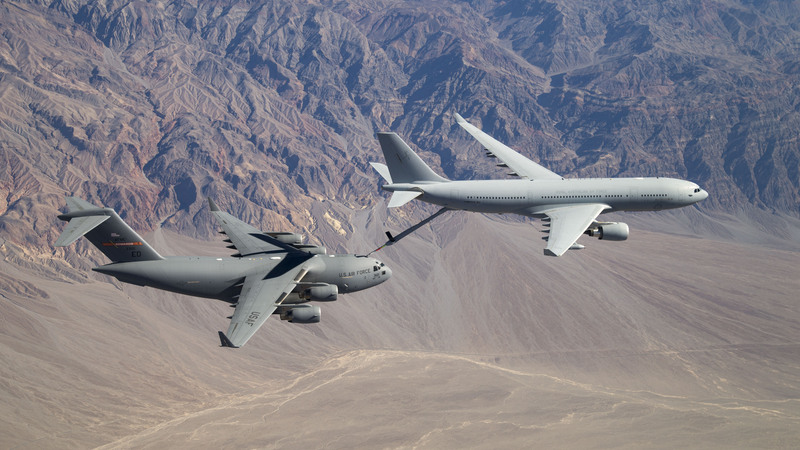 The Boeing KC-46A is in a head-to-head competition with the Airbus A330-200 MRTT. 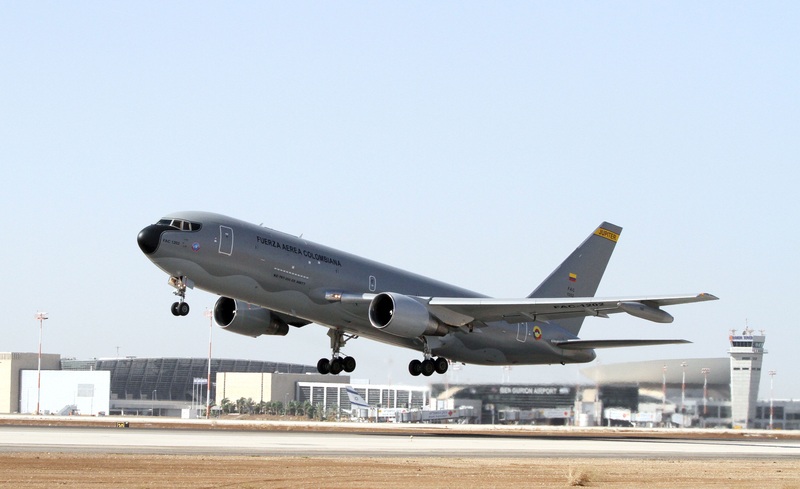 Earlier in 2015, the Republic of Korea announced it had opted to buy the Airbus A330-200 MRTT instead of the KC-46A. The first A330-200 MRTT customer in the Asia-Pacific region was Australia which has taken delivery of five aircraft and two former Qantas Airways A330-200 airliners which are being converted into A330-200 MRTTs by Airbus to be delivered in 2018. Royal Australian Air Force (RAAF) A330-200 MRTTs, locally designated as the KC-30A, have been supporting Operation ORKA, the RAAF’s mission supporting US-led efforts against the so-called Islamic State of Iraq and Syria since 2014, according to official Australian government announcements. Moreover, in April one of the KC-30As recently conducted air-to-air refuelling trials using its boom system delivering up to 15000 pounds/lb (6800 kilograms/kg) of fuel to an RAAF Boeing C-17A Globemaster III turbofan freighter, according to media reports. The RAAF has announced that it plans to acquire two more KC-30As before the end of the decade, although it is not clear if these will be new or secondhand aircraft. Meanwhile Airbus is confident of more export sales to the Asia-Pacific region following the first flight, in September, of its new A330-200 MRTT. 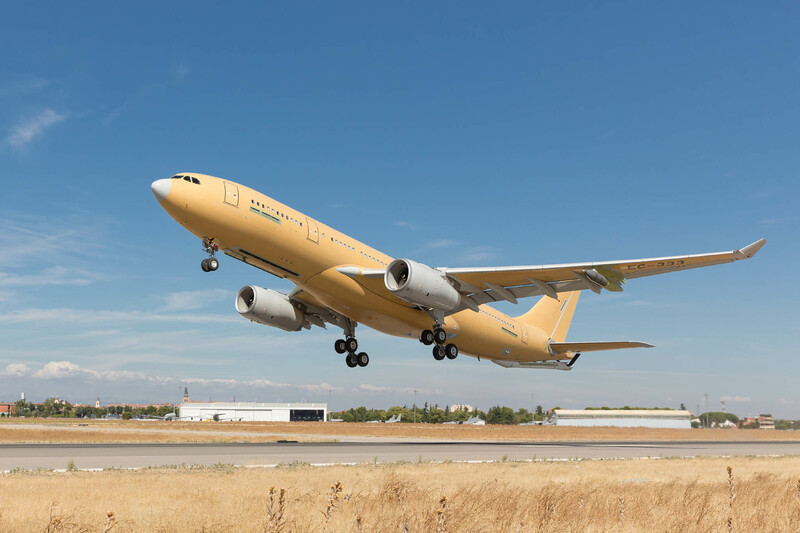 The new standard A330-200 MRTT features structural modifications; aerodynamic improvements to give a fuel-burn reduction of up to one percent compared to previous versions of the aircraft; upgraded avionics computers and enhanced military systems. The first new standard aircraft will be delivered in 2018 to the Republic of Singapore Air Force followed by the Republic of Korea Air Force. The next step in the A330-200 MRTT’s evolution is expected to include the possibility of adding Electronic Intelligence (ELINT) capabilities in addition to its passenger and medical evacuation missions as well as increasing the aircraft’s maximum take-off weight to 523,600lb (238,000kg) to enable the aircraft to carry 20 percent more payload, compared to previous A330-200 MRTT versions. The next step will be the trialing of the fly-by-wire Advanced Aerial Refueling Boom System (ARBS) in a fully automatic mode. The company claims that this would increase flight safety and could be adapted for refueling Unmanned Combat Aerial Vehicles (UCAV) in the next decade. While Airbus continuing to improve the A330-200 MRTT, it has also developed an Air-to-Air Refuelling (AAR) kit that will enable its C-295 turboprop freighter family to become a cost effective MRTT. 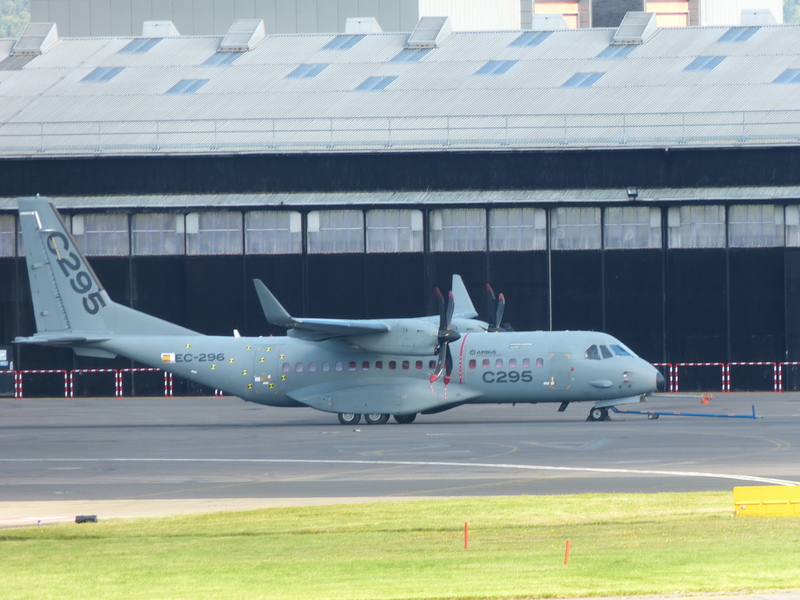 In September 2016 Airbus successfully demonstrated the AAR capabilities of the C-295 using a company-owned C-295W equipped with a palletised AAR kit which a series of dry-contacts (where no fuel was provided to the receiving aircraft) with an Ejército del Aire (Spanish Air Force) C-295M receiver aircraft at various speeds down to 110 knots (203 kilometres-per-hour). The C-295 AAR platform has a particular application in the aerial refuelling of helicopters and Airbus has announced that helicopter-receiver trials will commence before the end of the year. Helicopter proximity flights have already been successfully flown. The C-295 MRTT modification uses a standard AAR kit fitted to pallets and involves only minimal modifications to the aircraft related to the control systems for hose-and-drogue operations. Although developed mainly for in-flight refuelling of helicopters, the C-295 tanker could be used for replenishing other aircraft at up to 265 knots (485 km/h) and the company has future plans to use the concept for aerial refuelling of Unmanned Aerial Vehicles (UAV). 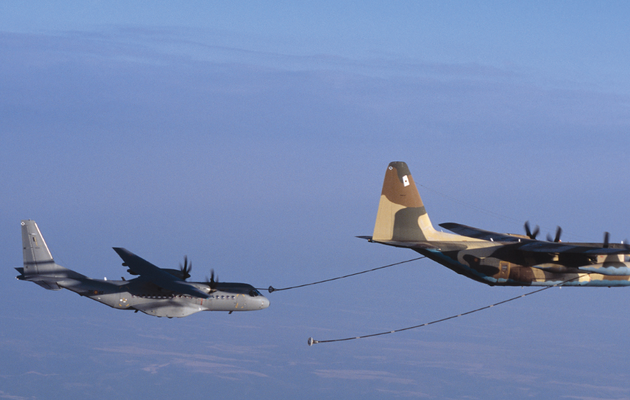 The concept would also enable the C-295 to serve as a forward refuelling platform for ground vehicles. The Tentara Nasional Indonesia-Angkatan Udara (Indonesian Air Force) operates 21 C-295 and 14 CN-235 aircraft but only two Lockheed Martin KC-130B tankers. With a large fleet of Eurocopter/Airbus Helicopters’ AS-332 Super Puma and H-225M medium-lift utility helicopters, which can be fitted with a probe for in-flight refueling, currently being delivered, and 17000 islands to defend, Indonesia could be a prime target for the Airbus AAR kit. Elsewhere in the region, the Hukbong Himpapawid ng Pilipinas (Philippines Air Force/PAF) possesses no tanker aircraft but some of the incoming new assets being acquired for the PAF can be modified to use probe-and-drogue aerial refuelling. These include the Korea Aerospace Industries’ FA-50 Fighting Eagle, twelve of which the PAF has on order. Future maritime patrol, airborne early warning and new Counter-Insurgency (COIN) aircraft to replace its Rockwell International/Boeing OV-10A/C/M Bronco COIN platforms that the PAF aspires to acquire in the next few years could also benefit from AAR capabilities. This year the PAF took delivery of a third C-295M. In PAF service the C-295M will play a key role in the modernisation of the force´s transport fleet, and will undertake a wide variety of military and humanitarian assistance and disaster response missions. To the east of the Philippines, the Vietnam People’s Air Force has taken delivery of three C-295 aircraft which, if fitted with an AAR, could support the Vietnam People’s Navy’s H-225M naval support helicopters. Another H-225M operator is the Royal Thai Air Force that has no tanker aircraft to support its fleet of more than 100 combat and special mission aircraft. A single C-295 has been ordered by the Royal Thai Army that could be used to fulfill a limited AAR role. Meanwhile, in October 2016 the government of Malaysia announced that its defence budget had taken a serious dip compared to 2015: The amount allocated to the Ministry of Defence for 2017 was $3.6 billion, equaling a 13 percent drop. This means that the Malaysian defence budget has fallen to 2012 levels, and it represents the largest single reduction since 1998. However, a number of its re-equipment programmes have been ring-fenced from these cuts, according to media reports, including the acquisition of four Airbus A400M turboprop freighters for the Tentera Udara DiRaja Malaysia (RMAF/Royal Malaysian Air Force). Designed from the outset to be a dual-role transport and tanker aircraft, the A400M provides air forces with a cost-effective way to acquire an AAR capability in addition to a versatile freighter. The standard A400M aircraft comes outfitted with much of the equipment and software provisions for AAR operations as standard. Any A400M can be rapidly reconfigured to become a tanker able to refuel probe-equipped receivers. The RMAF also operates a growing fleet of H-225Ms. With Airbus’ admission that the A400M’s previously announced capability for the air refueling helicopters was unlikely to be achieved in the near future, AAR kits for the RMAF’s CN-235 transport aircraft may be an interim solution. Another country with no AAR capability is Bangladesh which has become the latest Asia-Pacific nation to acquire the C-295W with an order for a single aircraft for Bangladesh Army Aviation. The aircraft, in transport configuration, will be delivered in the second half of 2017 under a contract that also includes customer support and training, Airbus has revealed. It is the first multi-engine fixed-wing aircraft to be operated by Bangladesh Army Aviation. Although an army asset, the Bangladesh Air Force is building up as fleet of Yakovlev Yak-130 fighter/light attack aircraft that can be equipped with a detachable AAR probe. Furthermore, Bangladesh’s erstwhile sibling Pakistan has one of the most diverse fleets of military aircraft in the region in the Pakistan Air Force, with more than 300 combat aircraft supported by a meagre fleet of Ilyushin Il-78MP tanker aircraft. It also has four CN-235-200 transport aircraft that could be adapted for the Airbus AAR kit. Meanwhile, beyond the A330-200 MRTT aircraft discussed above, in May 2013, India issued a tender for a $2.5 billion competition for 56 Medium Transport Aircraft (MTA) to replace the IAF’s current fleet of 30 Avro/Hawker Siddeley HS-748 turboprop transports. Currently only the Airbus/Tata Advanced Systems consortium remains in contention for the HS-748 replacement with their C-295W offering which has upgraded Pratt and Whitney Canada PW-127G turboprops to provide enhanced hot and high performance. The C-295W has completed a series of flight evaluation trials in India aimed at securing the contract for 16 aircraft supplied directly from Airbus and another 40 to be assembled in India in partnership with Tata Advanced Systems. However, this contract has been deferred on two occasions since the C-295W was selected in 2013. In addition to replacing the HS-748, it was anticipated that the C-295W could be a contender to replace the fleet of circa 100 Antonov An-32RE turboprop transports but in October 2016 the IAF’s chief of air force staff Air Chief Marshal Arup Raha dismissed these reports. He said explained that the HS-748 and An-32 are two different classes of aircraft that cannot be replaced by one type. He did confirm that planned development of Indo-Russian Multi-role Transport Aircraft (MTA) turbofan airlifter to replace the An-32 is stalled due to technical differences, but he was hopeful that this deadlock will be broken soon. Faced with continuing uncertainty over the contracts for both the Airbus A330-200 MRTT and the C-295W; and the fractious relationship with Russia over the future of the MTA programme, the IAF will have rely on its small force of six Ilyushin Il-78MK convertible tankers and freighters to support more than 500 combat and special mission aircraft. 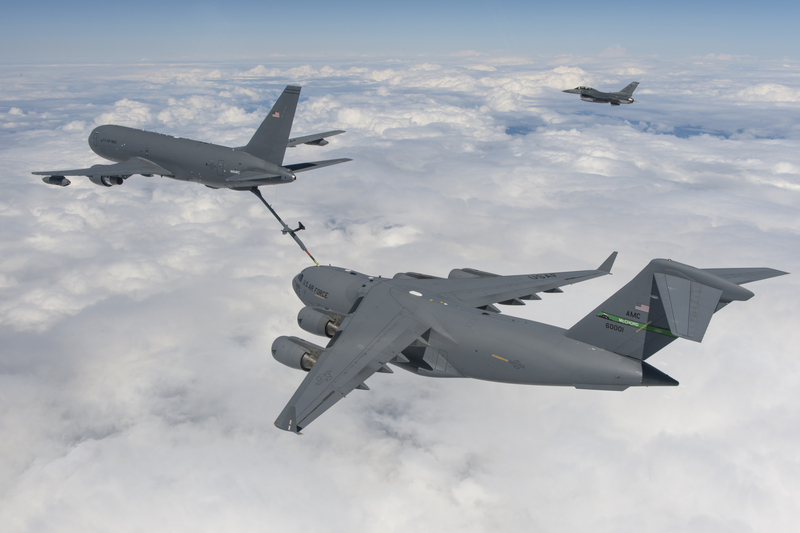 While Boeing and Airbus continue to develop and market their respective tankers, the USAF is setting its sights on a next-generation tanker that will be able to support strike assets in increasingly dangerous skies. Lockheed Martin is proposing a small, stealthy, fuel-efficient, hybrid wing-body aircraft that can take-off and land on short runways. The chief of the USAF’s Air Mobility Command, which operates the air force’s tankers, General Carlton Everhart, recently launched a study for a next-generation tanker dubbed the KC-Z; that would be very different from the large-bodied, commercially based KC-46A and A330-200 MRTTs now entering service. As potential adversaries develop sophisticated Surface-to-Air Missiles (SAM), witness the announcement in April 2015 from Russia’s state armaments export agency Rosoboronexport, that the People’s Republic of China is expected to acquire the Almaz-Antey S-400 high altitude SAM system, the date for the delivery of which is unknown, current tankers may become increasingly vulnerable. Ahead of an official US Air Force study on the KC-Z, expected to begin within the next six months, industry is already gearing up to solve this problem. 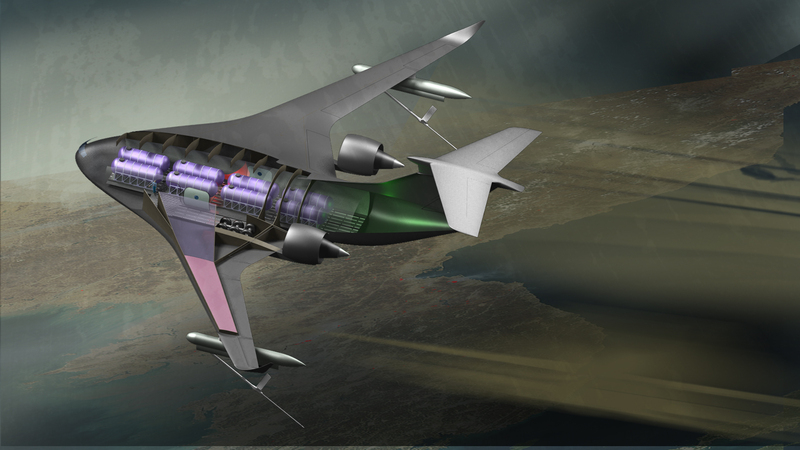 However, the KC-Z would have a limited transport capability and because of this there could be a continuing requirement for convention tankers in the next two decades which can support all-important logistics missions, in addition to AAR. Next articleAre You Going To Scarborough Shoal?